Cleaning your artificial lawn is very easy, so we do not have a specific cleaning guide. You can easily remove melted ice cream, soft drinks and other sweet beverages. Just make sure to rinse with clean water afterwards. If you have spilled some food, please remove that first. Then clean the area where the food was spilled and finally rinse it with water. Chewing gum is a little trickier. Carefully remove the chewing gum with a spoon. This is easier if you put some ice cubes on the spot first. The ice hardens the gum, making it easier to remove. Remember not to use only solvents, as these substances may harm your artificial grass. There are several things you can do yourself to keep your grass looking pretty. Cleaning: It is important to keep you artificial turf clean. Make sure you remove any leaves, weeds and other debris immediately. Brushing: The grass fibers tend to become a bit flat after a while. Periodically raking or brushing the fibres will sort this out. Blowing away leaves: Keep the artificial turf free of leaves with a normal leaf blower or leaf vacuum. Make sure the sand of the infill will not be blown away. Weed control: If you keep your artificial lawn clean you will prevent weeds, moss and other unwanted natural foes from growing and taking over. Weeds can easily be removed by plucking, brushing or raking the lawn. Make sure you remove weeds before they root, especially along the sides. There are a number of environmentally friendly products available that kill algae, moss and weeds immediately. You can buy these products at your home improvement centre or garden. Make sure you follow the instructions carefully so the artificial turf will not be damaged. 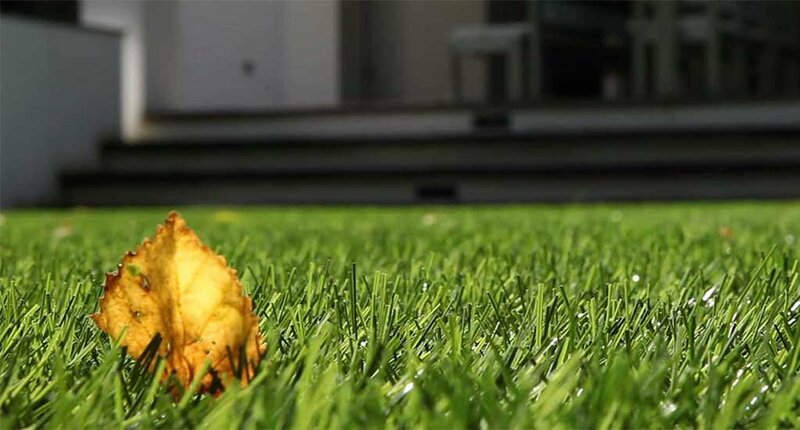 Chlorine: You should not use any chlorine products on artificial turf made from polyamide fibres (PA) as those products may discolour the fibers. Previous post Buying artificial grass – what is important? Next post Why buy artificial grass from an authorized dealer?